I was 16 hours into my first attempt at the Western States 100 when the lights went out, literally. Halfway between the Green Gate and Auburn Lakes Trails aid stations at the 2001 Western States, I clipped my foot on a rock, slammed to the ground, and lost grip of my flashlight. When I got to my feet and looked around, I saw nothing. It was pitch dark. After feeling around in the bushes for a few minutes I found my flashlight. Frantically turning it on and off, I quickly realized my worst fears. It was broken. I had nothing. Just darkness. At that moment, I completely lost it. The freak-out was on! A couple minutes later, a runner and his pacer came upon me and I explained my plight. They politely offered to let me jump in with them, and so I did. But, alas, I couldn’t hang. My mind was wrecked and my body was quickly following. Finally, after about 80 minutes of stumbling along the dark trail, I made it to Auburn Lakes Trails. In a total funk, I sat down, completely and totally defeated and demoralized. A nice volunteer eventually came over to me and asked me how I was doing. At first I was too embarrassed to admit that I’d broken my flashlight but eventually I succumbed, and, in tears, I asked if she had one I could borrow. After asking around, she found me a new light and within a few minutes I was up and out of there. The damage had been done, though. The panic button had been pushed and I had lost all emotional engagement in the race. I basically walked it in. After five more hours, I arrived to Auburn, went around the track, crossed the finish, and was done. My crew asked if I had emphysema. The race director came over and asked if I was going to get sick. The volunteers offered to take me to the medical tent. The truth was, I was simply spent. Physically, emotionally, and psychologically, I had lost it and couldn’t get it back. I’ve looked back on that day countless times in the 17 years since and each time I am reminded of one thing, the power of the mind. For me, my demise that day was simple and inexorable. When faced with the challenge of running in the dark, I panicked. And then, once the panic fully set in, I gave up. It was brutal. The lesson in all this, of course, is that life throws us all kinds of challenges and the way we prepare for those challenges and subsequently address them gives us the strength to forge on. In the absence of that strength, we can be made small and defeatist and ultimately be beaten. But if we fight the urge to push that panic button, if we summon the strength to persist in the midst of apparent disasters–like broken flashlights 80 miles into a 100 miler–we can charge forward confidently to the other side and transcend even life’s toughest obstacles. 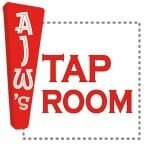 This week’s Beer of the Week comes from Taproom favorite Cigar City Brewing in Tampa, Florida. Recently, they released a new take on their classic Jai Lai IPA called White Oak Jai Lai IPA. 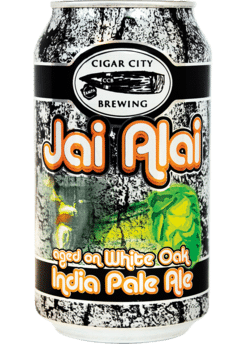 Aged in oak barrels fashioned from Florida’s legendary white-oak trees, White Oak Jai Lai has an earthy taste that blends wonderfully with classic IPA hoppiness to produce a simply delicious beer. When something goes wrong during an ultramarathon, what do you do to to keep yourself from hitting the panic button? How do you stay calm and able to adapt? Has there been a time when you threw in the towel too soon and failed to adapt to the changing circumstances? Can you share that story and what you learned? Sounds harrowing. I’m glad it had a happy ending – well, happy for us anyway because AJW lived another day to post inspiring thoughts on the irunfar site. The mind is funny – how when we head out for a 6-miler, 6 miles seems like all we can give, or a half marathon or a marathon or longer. Whatever we dial up in our mind before we start seems to be all we can give. I think I need to do more runs with no pre-run dial-up – just run until I’m ready to stop, or ready to drop. 2 more days until I can run again. It’s been a long 3 weeks. Cataract surgery. No running for 2 weeks after the second eye is done. I’ve been walking the same routes I typically run. Well, trudging, really. Now, just 2 more days. It’s been an invaluable learning experience. I’ve learned to appreciate just being able to get up and go for a run. I’ve also learned to appreciate eyesight. I’m not that old (57), but I can now see distance perfectly without contact lenses or glasses. When I see people much older than me still struggling with glasses, my self-pity for missing 3 weeks of running turns into thankfulness. “Managing a Low Point”, was something I had often imagined, while I trained. But now I simply felt my “Race was over”. I had injured the same toes, twice, in rapid succession, as I fell foward into Poison Ivy, no less, and could no longer “Run” at all, only Shuffle-Walk, and even that was very painful for my toes. I went from thinking I was doing so well I was already looking forward to extrapolating from my excellent time (for me) to other distances and events, to my head “falling right out of the game”. And so began a spiral about how, because my vision of the Race could not be realized, the whole trip had been a bust and I had nothing to look forward to by continuing, plus long drive home still, for nothing. I reached the Aid Station with the plan to drop, and whined more than once, “Yes, but I can’t run”, as if no one had heard me. But the upbeat volunteers just kept harping on keeping it simple. Only another shorter loop to go, and they acted like finishing would fix everything. They all repeated a basic mantra- Walk the Uphills, Jog the Flats, Go Faster on the Downhills, and you’ll finish. And hidden in that, was that Finishing was all there was. In their own way, they were saying “No no no, your sense not only that the Race is over, but that the trip had been a waste, is all the result of Panic.”, and that should be ignored, and I could Finish, and that would be marvelous. And although I had come into the Aid Station planning to drop, their cajoling got me somehow thinking that they might be right, Finishing was all I had left, and I might be able to do it. And if so I had to try, and just MAYBE Finishing would set everything right again. So though I couldn’t “Run”, as I went out on that loop I found I could manage a small increase in my shuffle on the slighter downhills, eased on the ups, and tried to maintain on the flats. And those tiny variations, and working on them, actually got my head back in the game. So I’ve always felt I learned something valuable, about how “Managing a Low Point” is sometimes doing the most basic stuff you can to keep going. And that “Low Point” can mean “You Feel your Race is Over”, not just “I recognize I’m in a tough stretch”, but that it has all gone out the window. Sure, I wish I had “Held it together” and “Done Better”, moving more quickly to “Get my head back in the Race”. But Man, sometimes Walking it in is an excellent strategy to finish what might otherwise easily be a DNF. It might not be fun, and our heart no longer in it, but Walking on nonetheless, we may finish, and for me, the value of that finish only increases with time, and I learned a lot from the experience. Thanks for this one AJW.